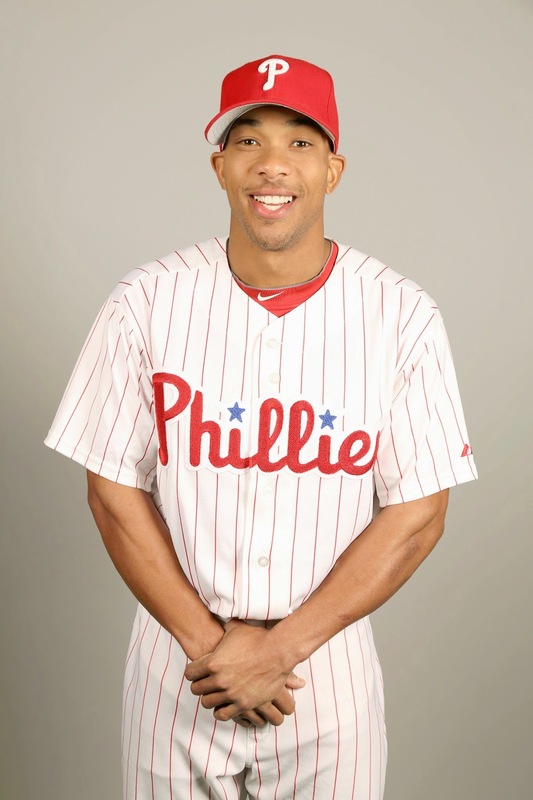 You can't help not liking Ben Revere, he's a guy with a smile on his face when the chips are down. For the Phillies unfortunately, the chips are down. The team's recent 5-game win streak now has turned into a 3-game losing streak. As good as this team looks for brief periods, the opposite is true just a couple games later. For the Twins last year, Ben Revere was more consistent, and helped that team out a whole lot better than what he has been able to do here in Philadelphia in 2013. Last year, in 511 AB, Revere held a .294 BA for the season, he has been no where near that number with the Phillies, and though he has raised his average up to .244 now, he's just not a contributor to the Phillies offense. Revere is particularly prone to grounding into double plays as a Phillies player, in all of 2012 with the Twins, Ben had 8 GIDP on the season, with the Phillies so far in 58 games he has already hit that mark, with better than half the season to go. This season Revere has had many opportunities to drive in some runs but has only been able to get 6 RBI on the season, or 1 RBI for every 32.2 AB so far this year. He's a player that we knew coming into the season that wasn't adept in hitting home runs, he still doesn't have a home run in his baseball career, and a lot of the time, seems to struggle in just hitting the ball out of the infield. The type of player that Revere is would be a nice edition to a rebuilding club somewhere in Miami or maybe Houston but not the kind of center fielder that the Phillies need. Revere is arbitration eligible after this season as well, is there anyway a player can be paid less than the minimum when he doesn't produce? Revere can make some great runs and track down the ball in the outfield that is true. His offense though is not on par with a type of player that the Phillies need, right now they need someone that could drive in some runs, and not struggle to do it. A home run here and there would help as well. The Phils shouldn't be big sellers at the trade deadline, but their choice of deals should be wiser than it has been. The Phillies GM, Ruben Amaro, went from signing players that he probably shouldn't have for mega-million dollar deals to looking at bargain thrift store pickups and expecting them to produce gold when in fact it's the team now that ends up looking like a fool.